Brief Synopsis – A dwarf is entrusted with safeguarding a human baby that prophesy states will help vanquish an evil queen. My Take on it – George Lucas will always be known as a superb storyteller despite the fact that he has always had trouble writing dialogue for his characters. This is a very fun fantasy adventure that utilizes many of the factors that Lucas used to make the Star Wars series so iconic. The characters are great and the cast chosen to portray them do a wonderful job bringing these eclectic characters to life for us. Warwick Davis, Val Kilmer, Joanne Whalley and Jean Marsh are all great here. Kevin Pollack and Rick Overtone tho steal the show as bickering fairies who are very reminiscent of R2D2 and C3PO in their antics. The one fault I find in this film is the fact that since it uses so much of what made The Star Wars saga so great, many aspects feel less original than one would hope. The special effects are wonderful and we really feel as if we are viewing another kind of world. LIked the tone of it all and it’s really a fun story to watch unfold. 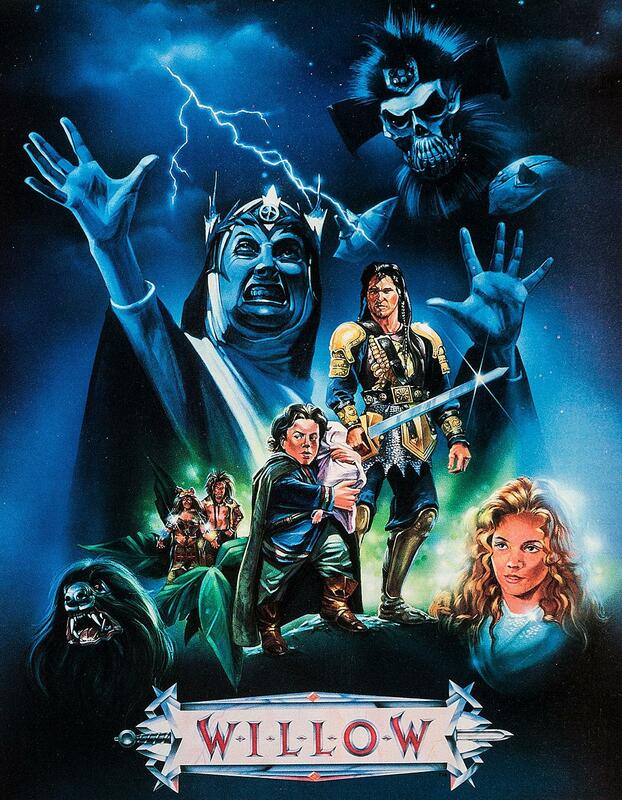 Bottom Line – Very fun fantasy adventure film. Lucas adds so much to this story that makes parts quite reminiscent of the Star Wars films. Unfortunately there are too many similarities between this and the trilogy and this film loses some of its impact because it doesn’t feel original enough. Great cast helps to bring to life lots of interesting characters. Recommended! It definitely can feel like a Star Wars take on the fantasy genre, but I think that’s part of the charm. R u serious? . Looks horrendous. What language is it in? Definitely agree! Love the fantasy world, but I kept seeing Star Wars, especially with that guy in the mask. Probably my favorite Val Kilmer movie.